May home price values saw a paltry 0.45% uptick in today's data release. This ends 34 consecutive months of declines from the June 2006 top in the housing market. 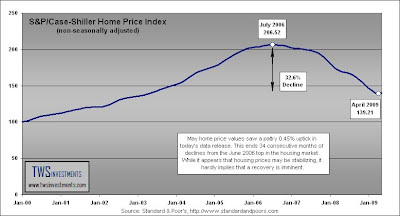 While it appears that housing prices may be stabilizing, it hardly implies that a recovery is imminent. 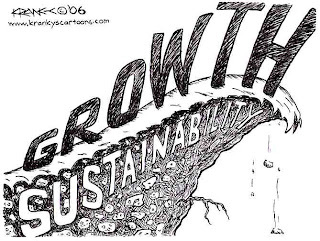 This is especially true when one considers seasonal adjustments, which turn the index negative.